Cairns, deployable for periods of up to 10 weeks throughout Australia and Australia's Area of Charting Responsibility. In addition to the survey ships the RAN Hydrographic Service also employs an extremely capable and effective airborne unit. 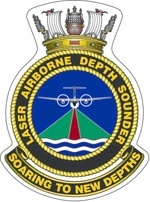 The Navy's Laser Airborne Depth Sounder (LADS) Flight formed in 1992 after more than 20 years of research and development. The first LADS aircraft used was a Fokker F27 built in 1976 and operated by East West airlines before being modified to for LADS operations, with modifications including a laser bay and doors under the fuselage, additional fuel tanks, precise navigation systems, and a stabilised platform for the laser. 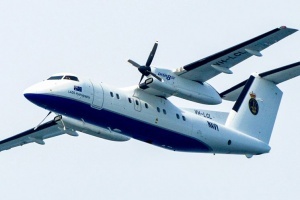 The Fokker F27 was replaced in November 2009 with a de Havilland Dash 8-202. 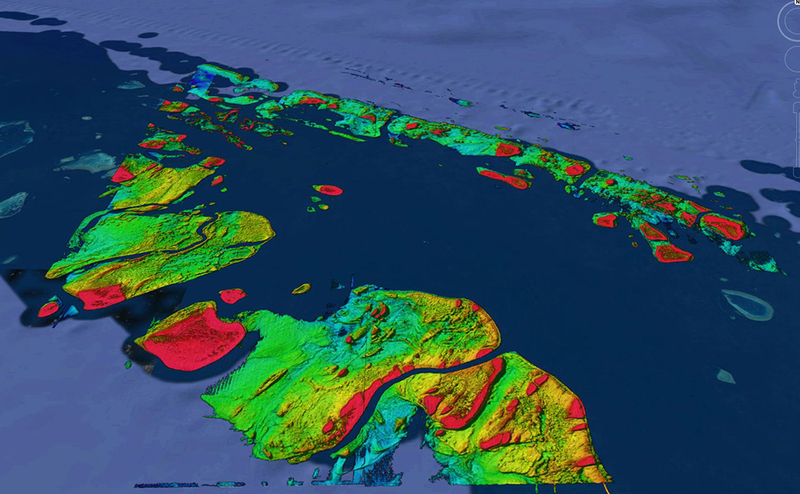 The Dash 8 had previously been employed by Fugro LADS Corporation (formally Tenix LADS Corporation) to conduct similar LIDAR survey activities internationally. The Australian Navy was the first and remains one of only a few military organisations in the world to employ Airborne LASER Bathymetry. The heart of the survey system is a powerful laser that determines aircraft height information above the sea surface (and ellipsoid) whilst producing a scan width of up to 598 metres (typically 193 metres for IHO Order 1b surveys), recording depths up to 80 metres deep in pristine waters and topographic heights up to 50 metres above sea level. Navy personnel operate the survey system from the main cabin of the aircraft. Back on the ground the data is processed prior to being sent to the Australian Hydrographic Office in Wollongong for incorporation into updated nautical charts. During survey operations the LADS aircraft flies at between 1200-3000 feet (366 and 914 metres) altitude and can survey more than 60 square nautical miles per day. With more than 7 hours endurance and flying a minimum of 140 sorties annually the LADS Flight is a very productive capability. The LADS Flight is based at Cairns airport in Far North Queensland however can be deployed for periods of up to 10 weeks. Recent deployments have included Adelaide, Launceston, Mackay, Norfolk Island and Papua New Guinea. The LADS survey team consists of eight RAN Hydrographic specialists: two officers, three senior sailors and three junior sailors. 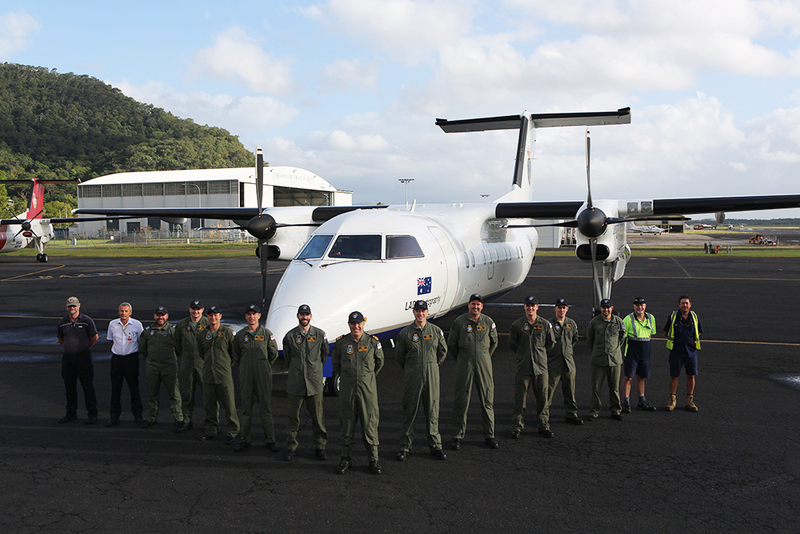 Specialist support is provided under contract by Fugro LADS Corporation and their subcontractor Cobham Aviation Services Australia and includes pilots, aircraft engineers, systems technicians and a field manager. Together, the Navy and civilian personnel form a highly specialised team ensuring the RAN remains at the forefront of surveying capability. A number of survey projects are normally surveyed concurrently by LADS Flight, allowing the aircraft to be directed from one to another if localised weather conditions or water clarity are unsuitable. The pilots are responsible for aircraft navigation and safety, while Navy personnel are responsible for the conduct of survey operations, including selection of survey runs, directing the pilots onto each line, monitoring system performance and when necessary determining where to relocate to if conditions are not suitable in the primary area. Survey operators are able to adjust the LASER and receiver settings and operating modes to ensure optimal performance of the system. In relatively clear coastal waters LADS has proved to be highly effective. Its productivity and area coverage are so good that surface units are no longer routinely tasked in these areas. In regions of poor water clarity LADS is a complementary capability to surface survey units. 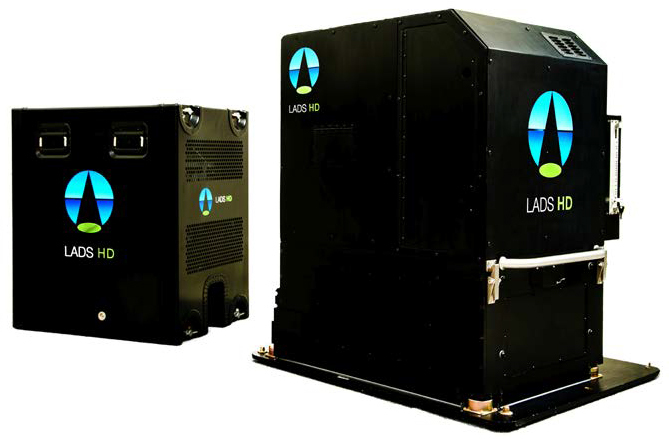 The technology offers an awe inspiring place to work and, more than 20 years after the first experimental laser flew, this Australian designed system remains at the forefront of both laser based systems and hydrographic survey systems in general. While relatively unknown, it is a highly effective Navy asset. For further information on LADS, visit the Australian Hydrographic Service website.